The tech giants’ dominance in smartphones has allowed them to take hefty 30 pct tolls on other people’s apps sold in their online stores. Both are now cutting in half their take of proceeds from subscriptions. It’s a sign of mobile maturity and a shift toward scale over margins. 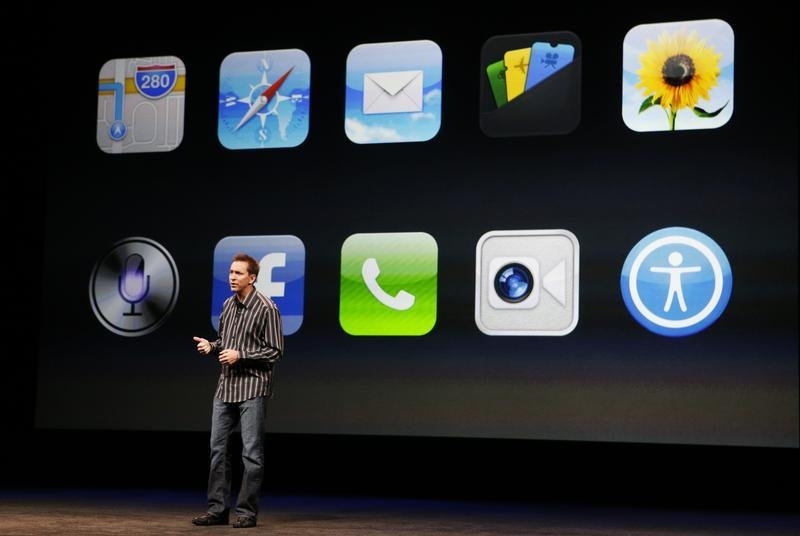 Scott Forstall, senior vice president of iOS Software at Apple Inc, speaks about iPhone5 apps during Apple Inc.'s iPhone media event in San Francisco, California September 12, 2012. Apple and Alphabet’s Google have changed the terms they offer app developers for subscription services. Both companies formerly took 30 percent of revenue. Starting on June 13, Apple will take only 15 percent of subscription fees after one year of paid service. Google will give developers of such services 85 percent of revenue from the start.